Get FISA Right will be having a chat during the vote on Monday — watch our blog at http://getfisaright.wordpress.com/ for updates. Draft! Work in progress! Feedback welcome! Talk about a shocker! 24 Republicans (including 8 new members) joined with 124 Democrats to stand up for civil liberties and defeat an attempt to sneak Patriot Act Reauthorization through the House. Here’s what EFF, Wired, and the Washington Post have to say about this unexpected victory. Thanks to everybody who joined in the flash activism campaign and made some noise! It was a great multi-partisan campaign that broke through the media blackout and got some attention. So let’s take a moment to celebrate! ACTION ALERT: Ask Obama to veto the PATRIOT Act, April 5. Twazzup did a custom Twitter backchannel for Computers, Freedom, and Privacy conference back in June 2009, and soon after that became the best way to follow the #iranelection protests. Later that year they were kind enough to set up getfisaright.twazzup.com and at least for me it remains the best way to follow the Patriot Act action on Twitter. The buttons aren’t just refrigerator art, they let you see what words and hashtags are the most common … #p2 and #tcot are arch rivals (the biggest progressive and conservative hashtags) and unusually enough they’re in agreement right now: we are sick of Washington trying to sneak the Patriot Act extension past us rather than having a proper debate. The “Most Popular Links” and “Popular Tweets” sections make it easy to see at a glance what’s going on — and you can click to translate foreign tweets into English. There’s also a useful (and pretty!) “community” section. You don’t have to have a Twitter account to use Twazzup. If you want to join in the conversation, though, our If you’re new to Twitter page has some suggestions. 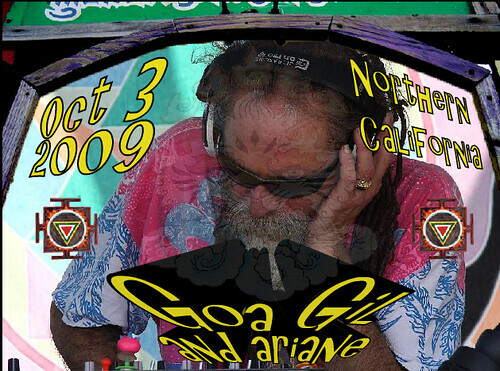 It’s Goa Gil’s birthday … and we’re *still* fighting for our civil liberties! Stop me if you’ve heard this one already: I’m in the midst of a social network activism campaign — and looking forward to a psytrance party. Feingold preparing to act on FISA (a Get FISA Right scoop)! First of all, I haven’t seen this reported elsewhere, so it may well be a scoop for Get FISA Right. Digg it! * Please retweet! ** And please help Get FISA Right get the word out about this news on Facebook! What do we think should be in the legislation? Good question! See Jim Burrows’ What does it mean to “get FISA right”? for some initial opinions — and please share your perspectives! And from an activism perspective, now’s the time to be thinking about how we can help. There are already some initial ideas on the Get FISA Right blog … feedback and other suggestions welcome! * if you’re not familiar with digg, we’ve got a handy intro on the Get FISA Right wiki! ** new to Twitter? check out Deanna Zandt’s Why Twitter, anyways? and A non-fanatical beginner’s guide to Twitter and the other great resources on the #p2 (“progressives 2.0”) Twitter page. If you were in the finals of the change.org Ideas for Change competition and have (or know of) an equivalent idea in the Citizens Briefing Book on change.gov, please leave a link in the comments — and look for opportunities to co-promote with other compatible ideas. Also please leave other suggestions for how we might work together moving forward. Wow! Less than 24 hours since the change.org competition ended and the competitors are already collaboratively building on it to influence government policy via change.gov’s similar system! It’s almost like they’ve been practicing — and building a coalition! w00t, w00t! Get FISA Right finishes #5 in Ideas for Change! Congratulations and great job all! With a late rush, Get FISA Right, repeal the PATRIOT Act, and restore our civil liberties squeaked into the #5 position in the change.org’s Ideas for Change in America competition with 12285 votes! Alas, even though our other endorsement Bob Fertik’s Appoint a Special Prosecutor for the Crimes of the Bush Administration picked up over 500 votes this morning, it appears to have fallen heartbreaking short by just 19 votes. 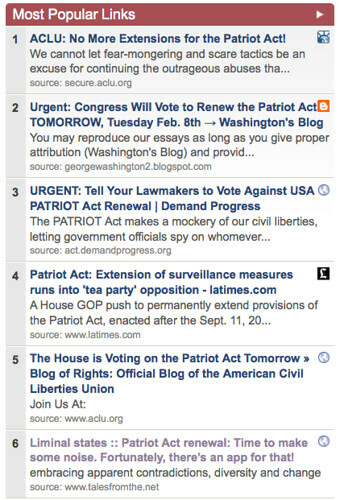 Still, overall, wow, what a huge success for Get FISA Right — and civil liberties! Just think about it: despite virtually no help from the progressive blogosphere or 501(c)3s, we more than held our own against some really tough competition: big mailing lists, political allies. * It’s an incredible validation of the power of our grassroots approach and social network advocacy. Yay us! And it’s yet another clear sign that no matter what they think in Washington and the mainstream media, Americans do see the Constitution and the rule of law as a priority right up there with health care, peace, sustainability, and drug law reform. So thanks to everybody who was a part of this. Once again, I’d especially like to acknowledge Democrats.com and DreamActivist.org for including us in their last-minute mailings … it made a big difference. Neocons’ worst nightmare, indeed! Thanks also to Jason Rosenbaum of The Seminal for a big endorsement this morning. Within Get FISA Right, it was definitely a team effort, so thanks all around — with extra thanks to Thomas and Patrick who really stepped forward in the last 24 hours. Read on for more … and please digg it! It’s been surprising to me how little attention change.org’s Ideas for Change in America competition has gotten. David Herbert mentioned it in the National Journal and Nancy Scola on techPresident; of course the competitors have blogging a lot (for example me, at Liminal States, Get FISA Right, and Pam’s House Blend, promoting my idea Get FISA Right, repeal the PATRIOT Act, and restore our civil liberties and the others I’ve endorsed). But in the broader political, progressive or technology-in-politics blogospheres? Very little. Here’s my attempt to describe its importance. Get FISA Right: should we endorse the special prosecutor idea? There’s a voting thread up on the Get FISA Right blog. Current results: 18 yes, 1 no, 1 present (me, since I voted first, to avoid biasing people).